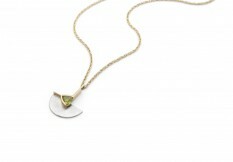 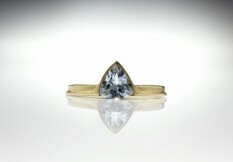 A trillion-cut stone is secretly set into these asymmetric drops and accented by a hand-engraved sunburst fan. 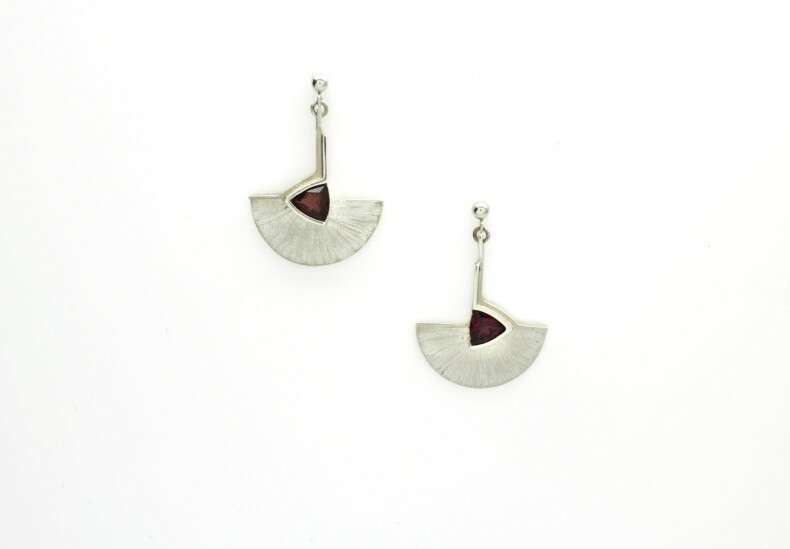 Shown here: Silver and garnet. 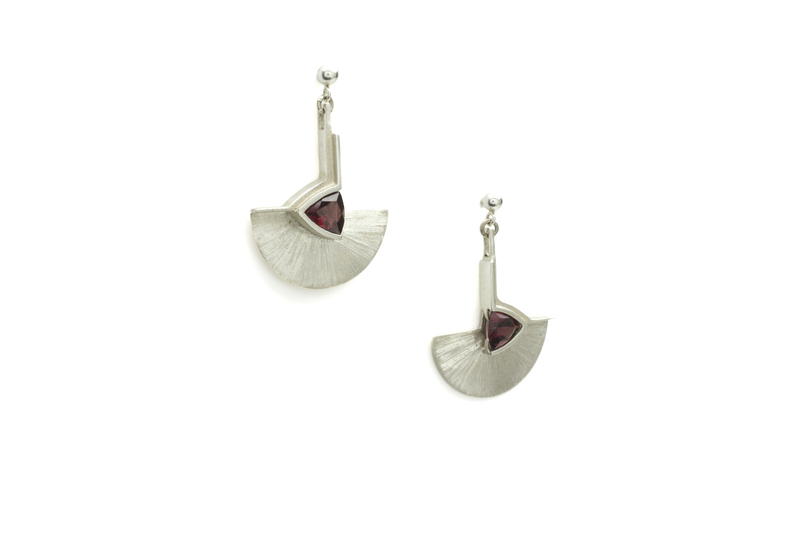 Available in: White, yellow or red gold, platinum or palladium with aquamarine, peridot, blue topaz, garnet, amethyst, rhodalite garnet or citrine.